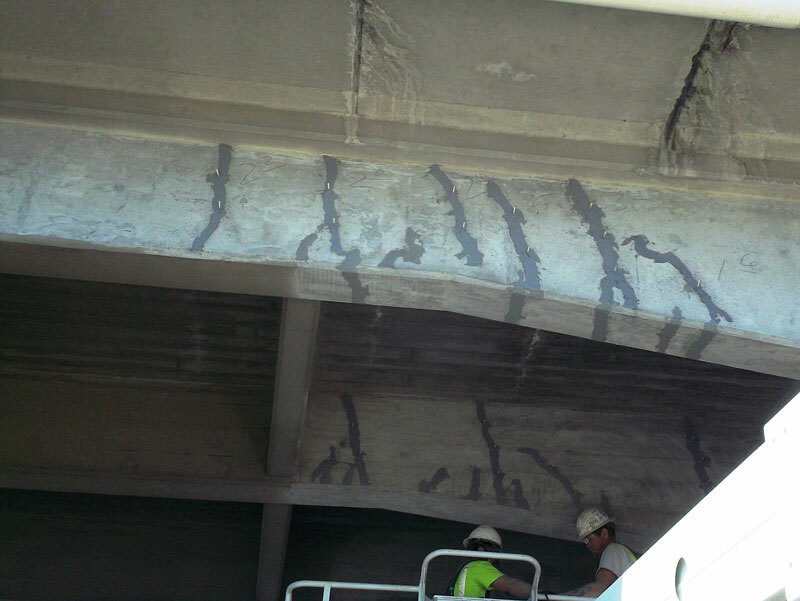 Epoxy Injection is a method of repairing non-moving cracks in concrete walls, slabs, columns and piers. Epoxy Injection has the capability of restoring the concrete to its pre-cracked strengths. John M. Hill Inc. d/b/a Air Placement Cement Company and Hill Refractory Services has been performing Epoxy injection for over 10 years. Carbon Fiber Wrap has been around for more than 20 years however it is just now gaining popularity. 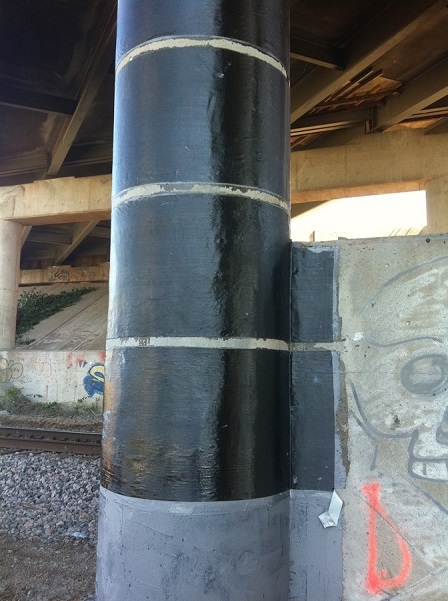 Carbon Fiber Wrap is used for structural column confinement, strengthening of weaker concrete, masonry, natural stone and timber structures. Please give us a call today to discuss Epoxy Injection and Carbon Fiber Wrap.